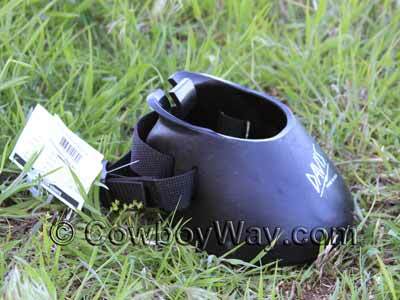 Davis Manufacturing makes a wide variety of products for horses, including their popular Davis Barrier Boots. For more information on the Davis Barrier Boot, please scroll down underneath the boots for sale. 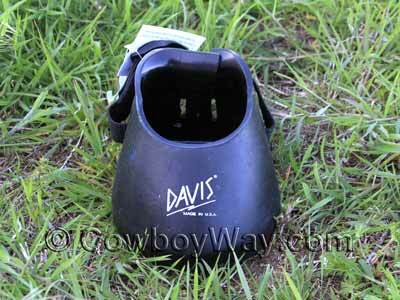 Below: A Davis Barrier Boot for horses. The Davis Barrier Boots below are offered for sale both in singles and in pairs. For a size chart please scroll down lower on this page. 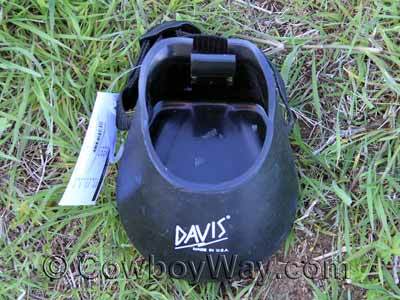 The Davis Barrier Boot is a hoof boot for horses. 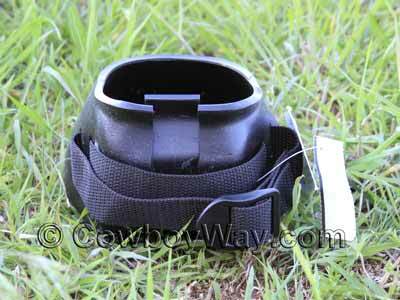 They are commonly used as an alternative to horseshoes for riding barefoot horses. 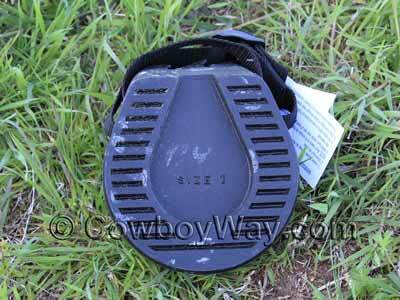 Or, for shod horses, a Barrier Boot can be carried along on a ride as a spare in case a horse loses a shoe. They are popular for trail riding as well as for riding in town on concrete or asphalt (parades, mounted patrol units, etc.) where the tire-like tread on the bottom of the Davis boot provides good traction on slick surfaces like asphalt or concrete. Davies Barrier Boots are made of durable PVC and are applied to the hoof simply by pulling them on without the need for any tools. Below: A Davis Barrier Boot from the front. Below: The bottom of the Barrier Boot showing the tread. Below: The back of the Davis Barrier Boot. Below: The Barrier Boot from the top. 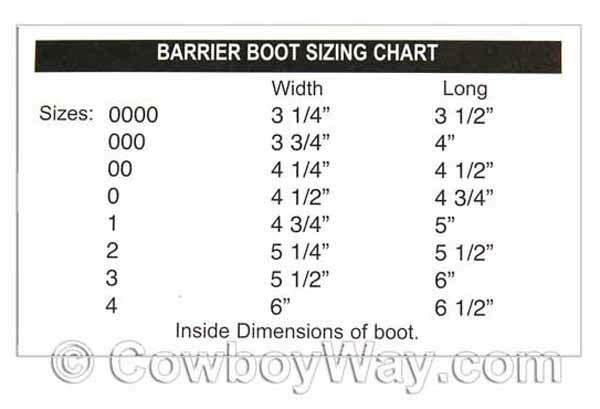 Below is a Davis Barrier Boot sizing chart. When choosing a boot size Davis Manufacturing instructs horse owners to measure their horse's hooves, as Barrier Boot sizes are not the same as horseshoe sizes.